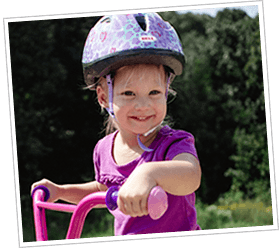 Handlebar Helmet may prevent serious injuries when a child falls on a bike handlebar. The unique design means it fits nearly all youth bikes. In August 2011, we had a typical summer cookout planned at our house — friends and their kids over for hamburgers, corn hole, and whatever the kids could get into. My husband Dave and I were enjoying the company when our son came crying to his dad. He’d wrecked his bicycle — not an uncommon occurrence for a 4 year old. I could have never imagined what would happen over the next week. "As parents, it's our job to protect our children and to put their safety first. We invented Handlebar Helmet to help you do that." Bike accidents are the second leading cause of injuries treated in emergency rooms. 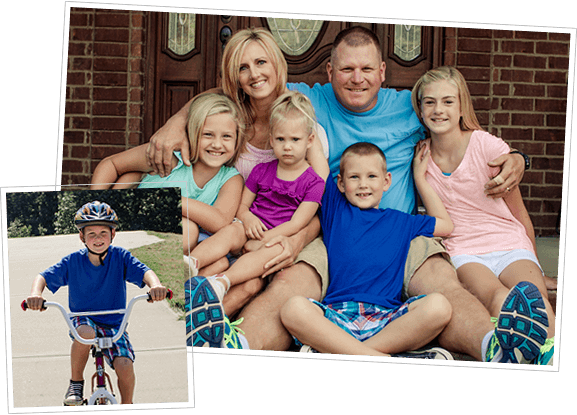 Protect your child with Handlebar Helmet.